So this week wasn't the most interesting spending the first part of the week making a dent into my summer reading list by starting with Thirteen Reasons Why. I haven't managed to read much so far but I've really been enjoying it. I also decided to make my teachers some cards to say thank you for everything they've done. While I have left school, I spent the second half of the week back in school helping out some teachers as well as getting speeches and picture boards ready to prom next Tuesday. Going back to the start of the week, I did go on a walk which, because of exams, have not been able to do and enjoy for months so it was nice to take my camera out the house. There's no picture to do this but I did go to a concert Wednesday night. If you've been reading my blog for a while, you may have seen before Christmas that I went to watch Andy Jordan and I really enjoyed myself so I was definitely up for watching him again. So on Wednesday,I headed over to Manchester with some friends to his concert and I hate to say but I was really disappointed. I don't know what it was but I really didn't enjoy it like I enjoyed his first concert. However, his first support George Taylor was great and someone I will be listening to a lot from now on. I don't know whether it was because we weren't as close as I had been the first time, or that the second support I found absolutely awful or the constant pushing from girls that got me so annoyed I spent almost the entire of Andy's set at the back of the room but overall I really did not enjoy the concert. 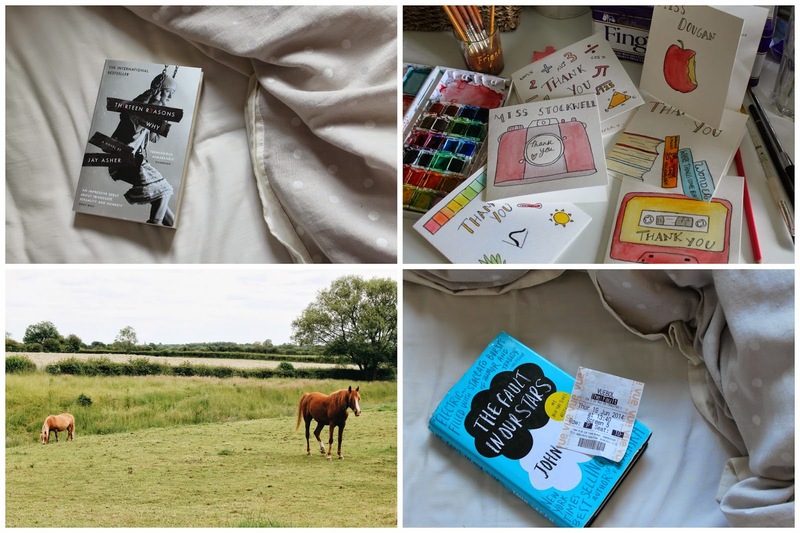 My week did end on a high when I went to see The Fault in Our Stars on the day of release. I'm going to save all my opinions to a review post I have planned but all I can say that if you've red the book you have to see it! But you don't need me telling you that as I know most of you a eager to see so just see it as soon as you can! We got all the school prom preparations sorted on Friday and I said a brief goodbye to all my teachers as I know I'll be seeing most of them on Tuesday at prom! So that's what I've been up to this week! Next week I think will be fairly uneventful after Tuesday as after prom I think I'll be very tired!